The Orbi-Shaker XL offers flask capacity that far exceeds that of most benchtop models. With a large 18 x 18 inch platform and a powerful, beltless motor drive, the Orbi-Shaker XL is capable of mixing up to five 2L flasks or nine 1L flasks simultaneously. 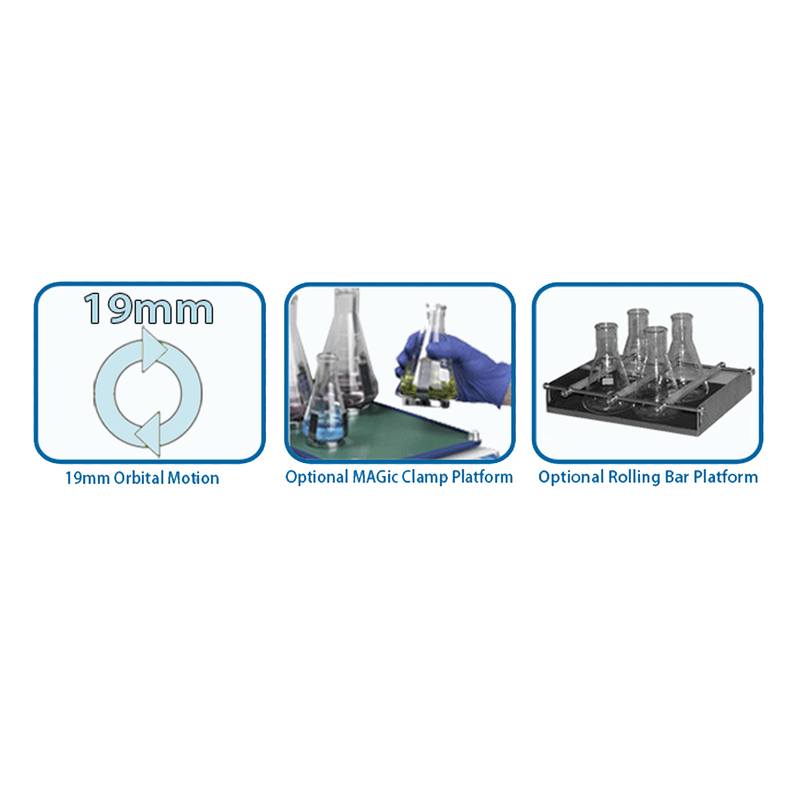 The included, non-slip rubber mat platform is ideal for low speed applications, while the convenient MAGic Clamp™ platform is also available for high speed mixing of Erlenmeyer flasks, tube racks or microplates. The MAGic Clamp™ allows for instant flask clamp exchange without the use of tools, screws or any other hardware (PATENTED).